It’s been a little over four years since Google rebranded the Android Market as Google Play, bringing all of its apps and digital offerings under one roof. The Play Store is a key piece of Google’s digital strategy, as it’s the hub for Android apps and games, eBooks, TV shows, and movies. In many ways it’s quite good, with an appealing design and continual improvements to try to improve app discovery and boost the number of installs. But like anything, there’s always room to grow. 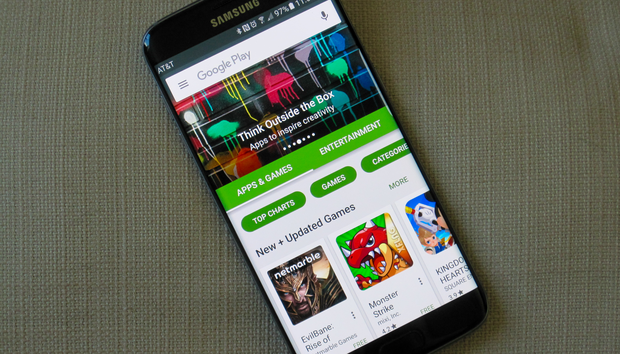 The Play Store app and website could use a few tweaks to address some nagging issues. The five issues I’ve described below are my main grievances. If there’s a problem you’ve noticed let us know about it in the comments, and we can at least commiserate with your pain. I’ve used a number of different Android devices over the past few years. And one constant remains: the Play Store app crashes from time to time. I can’t speak to the precise code or other engineering issues as to why that’s happening, but as just a consumer I can say that it stinks. Too often you need to force stop the Play Store and start over to solve stability issues. Usually it’s when I’m doing something with another app, and I’ll get the pop-up notification that the Play Store has crashed. The best fix then is to clear the cache or even restart the device. It happens too often for such a crucial application. Whatever behinds-the-scenes work is required to bring this under control needs to happen, quickly. One of my favorite things about the Google Play Store is that you can quickly launch a browser tab on the desktop and jump right in. With Apple’s App Store, you have to fire up iTunes, go make a sandwich, and maybe by then you’ll be able to look for apps. But there are still a few places where experience could be better. One is in re-installing apps you’ve already downloaded. Recently I changed phones again (hey, I do this for a living) and bought a Galaxy S7 Edge. I decided to go the clean install route since I had a billion apps on my previous phone that I didn’t want to reinstall. So when browsing the Play Store I came across ESPN—which was listed as “installed” on the web, even though it wasn’t on either my GS7 Edge or Nexus 7. Is the app already installed or not? You have to click through to find out. You have to then lick the Installed button to find out if it’s actually on one of your devices or nowhere to be found. It seems a better method would be eliminate the Installed notice if it’s not actually active on any device, or maybe your most recently-used device. Or just tell us that it’s installed on some of our devices, but not all of them. And it seems that order in which the toggle displays devices is haphazard. Sometimes the one I used most often is at the top of the list, other times it’s the Nexus 7 that has sat on the coffee table for a week. More consistency, please. At last count Google Play had over 1.5 million apps. Even though Google says it now tests everything before the app goes live, that’s a wide open market to run. So there are going to be some issues. One place to start would be apps that haven’t been updated in, you know, three years. The ones with screenshots from Android Gingerbread (2.3). Some really old apps are still hanging out in the Play Store. There ought to be some type of enforcement mechanism that kicks out apps that have been abandoned. They just clutter up the store when you’re trying to find an app that you really want. And such apps ruin the experience for less tech-savvy users who may not realize they’re downloading a relic instead of an up-to-date and functioning app. It’s surprising to see a Google product that needs to improve its search capabilities, but that’s certainly the case from time to time. Oftentimes some apps just don’t seem to match up with the search terms. Or you have to be very specific about the title of an app to find it, particularly if it’s new. Reddit finally released an app, but it wasn’t the top result if you searched for “Reddit.” Or some odd apps will appear in a seemingly unrelated search. Wait, why is Color Switch in this list? Search is Google’s speciality, but it seems at times even with this area it could be improved. Autosuggest also will start finishing your phrase based on what people have been searching for, not necessarily the name of an existing app. It’s an unfortunate tease, and one way that Google could improve the experience. Wait, what? It just seems odd that in 2016 they can't just flip a switch and make something live much faster than the current staggered-rollout system. This is the whole reason sites like APK Mirror exist—there’s an excessive wait for new app updates to roll out. It should take less than an hour for app updates to distribute across the global Google Play distribution network, and no device should have to wait more than a couple hours before the latest version is available to it. I’ve also found that when I restart the Play Store app or my phone, there will magically be a series of updates that weren’t there before, even though I just checked. It’s all an inconsistent process, and it could certainly be smoothed out, given how important it is to have the latest version in order to improve an app’s stability or security. The Play Store does a lot right, especially features like allowing developers to respond to a review and how you can install an app directly the web. But it can definitely get better, and these little annoyances are good places where Google could start.